If you’re in the market for a quality used car or a Certified Pre-Owned Toyota in the Tampa Bay area, you’ve come to the right place! From price changes to new offers, we’re making it easier than ever to shop online for the perfect car at a great price! Browse our online inventory for our used cars for sale in Tampa, schedule your test drive or Value Your Trade. Once you start browsing you’ll find that we offer a wide selection of over 220 CPO Toyotas and used cars, so you’ll always find one perfect for your budget. You can even sort Used Cars Priced under $10,000 to further narrow your search or take a look at Used car deals for our latest offers! Plus, every pre-owned car we sell, whether it be a CPO or a premium pre-owned, comes with a vehicle history report so you’ll know exactly what you’re getting when you buy. Browse our inventory of Certified Pre-Owned Toyotas still backed by their 7-year/100,000-mile powertrain limited warranty! These CPO Toyotas must pass a meticulous 160-point inspection, be 6 years old or newer with fewer than 85,000 miles on the odometer to be considered for certification. If you’ve always wanted a Toyota RAV4, a Highlander or a Tacoma but felt it was out of budget, choosing one of our Certified Pre-Owned vehicles may be the best way to go. It gives you the peace of mind of Toyota Certification backed by 12-month/12,000-mile Comprehensive Warranty and the advantage of Toyota’s available new car financing rates. Along with CPO Toyotas, Toyota of Tampa Bay offers an extensive selection of quality used cars from all makes and models! What makes our cars different than other used car dealerships is how we prepared our pre-owned vehicles for sale. We don’t let just any vehicle into our inventory. We rigorously inspect everything, from the air filter to the health of the transmission. Then we fully clean and detail our cars inside and out. From a full cleaning of the engine bay to a complete carpet wash and vacuum, when you buy a car from us you can expect your vehicle to have a like-new appearance. Still not convinced? Watch a quick video on our Toyota Pre-Owned vehicle standards featuring a real customer testimonial that discusses what customers like you expect when they choose us for quality pre-owned cars in Tampa, FL. 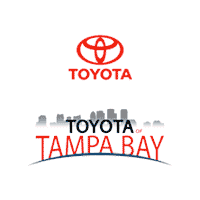 Toyota of Tampa Bay – Stop By For A Fast, Friendly, Fair & Fun Experience Today! Now that you’ve read everything that we have to offer, we hope you schedule a visit and let one of our friendly and knowledgeable team members help you find a quality pre-owned you’ll love! If you’re not quite ready to stop by? Keep browsing online for our latest offers and incentives on our premium pre-owned vehicles and CPO Toyotas. Log in or Create an Account to receive alerts when a price changes or your favorite vehicle is sold. Remember, we’re always just one quick call or click away if you ever have any questions. Stop in today and check out our inventory of used cars for sale at Toyota of Tampa Bay – proudly serving drivers from Tampa Bay, Brandon, Wesley Chapel Florida, St. Petersburg and the surrounding areas. CARFAX One-Owner. Phantom Gray Pearl 2005 Toyota Sienna LE FWD 5-Speed Automatic with Overdrive 3.3L V6 SMPI DOHC Sienna LE, 3.3L V6 SMPI DOHC, Phantom Gray Pearl, Stone w/Cloth Seat Trim, ONE YEAR FREE MAINTENANCE, CARFAX ONE OWNER, CLEAN CARFAX, 8-Way Power Driver's Seat, Anti-Theft System, Driver & Front Passenger Seat-Mounted Side Airbags, HomeLink Wireless Control System, LE Package #1, LE Package #2, LE Package #4, Overhead Multi-Info Display, Passenger-Side Power Sliding Door, Rear Seat Audio, Wire Harness. ***PRE- SALE AUCTIONS VEHICLES THESE VEHICLES HAVE RECENTLY BEEN TRADED IN AND ARE OFFERED TO THE PUBLIC BEFORE THEY GO TO DEALER ONLY AUCTIONS, ALL VEHICLES ARE SOLD AS IS WHERE IS AND ARE MECHANICS SPECIALS CASH OR CHECK ONLY NO DEALERS PLEASE**, VEHICLES MAY NOT BE AVAILABLE FOR IMMEDIATE DELIVERY ** Fast, Friendly, Fair & Fun. Recent Arrival! 19/26 City/Highway MPG Final vehicle sale price is also subject to safety inspection costs, certification costs and repair order costs. Call your Internet Managers today for details. All offers are mutually exclusive. All vehicles subject to prior sale. See dealer for complete details. Silver Streak Mica 2007 Toyota Corolla S FWD 4-Speed Automatic with Overdrive 1.8L I4 SMPI DOHC Corolla S, Silver Streak Mica, Dark Charcoal w/Cloth Seat Trim, ONE YEAR FREE MAINTENANCE. ***PRE- SALE AUCTIONS VEHICLES THESE VEHICLES HAVE RECENTLY BEEN TRADED IN AND ARE OFFERED TO THE PUBLIC BEFORE THEY GO TO DEALER ONLY AUCTIONS, ALL VEHICLES ARE SOLD AS IS WHERE IS AND ARE MECHANICS SPECIALS CASH OR CHECK ONLY NO DEALERS PLEASE**, VEHICLES MAY NOT BE AVAILABLE FOR IMMEDIATE DELIVERY ** Fast, Friendly, Fair & Fun. 30/38 City/Highway MPG Final vehicle sale price is also subject to safety inspection costs, certification costs and repair order costs. Call your Internet Managers today for details. All offers are mutually exclusive. All vehicles subject to prior sale. See dealer for complete details. Clean CARFAX. Arctic Frost Pearl 2006 Toyota Camry Solara SLE FWD 5-Speed Automatic Electronic with Overdrive 3.3L V6 SMPI DOHC Camry Solara SLE, 3.3L V6 SMPI DOHC, 5-Speed Automatic Electronic with Overdrive, Arctic Frost Pearl, Dark Stone w/Leather/Power Seat Package, ONE YEAR FREE MAINTENANCE, CLEAN CARFAX, LEATHER, Power moonroof. ***PRE- SALE AUCTIONS VEHICLES THESE VEHICLES HAVE RECENTLY BEEN TRADED IN AND ARE OFFERED TO THE PUBLIC BEFORE THEY GO TO DEALER ONLY AUCTIONS, ALL VEHICLES ARE SOLD AS IS WHERE IS AND ARE MECHANICS SPECIALS CASH OR CHECK ONLY NO DEALERS PLEASE**, VEHICLES MAY NOT BE AVAILABLE FOR IMMEDIATE DELIVERY ** Fast, Friendly, Fair & Fun. Recent Arrival! 21/29 City/Highway MPG Final vehicle sale price is also subject to safety inspection costs, certification costs and repair order costs. Call your Internet Managers today for details. All offers are mutually exclusive. All vehicles subject to prior sale. See dealer for complete details. CARFAX One-Owner. Clean CARFAX. Blue Mirage Metallic 2007 Toyota Avalon XLS FWD 5-Speed Automatic with Overdrive 3.5L V6 SMPI DOHC Avalon XLS, 5-Speed Automatic with Overdrive, Blue Mirage Metallic, Light Gray w/Leather Seat Trim, ONE YEAR FREE MAINTENANCE, CARFAX ONE OWNER, CLEAN CARFAX, LEATHER, BOUGHT HERE WHEN NEW, SERVICED HERE, ABS brakes, Alloy wheels, Compass, Front dual zone A/C, Heated door mirrors, Illuminated entry, Leather Seat Trim, Low tire pressure warning, Power moonroof, Remote keyless entry. ***PRE- SALE AUCTIONS VEHICLES THESE VEHICLES HAVE RECENTLY BEEN TRADED IN AND ARE OFFERED TO THE PUBLIC BEFORE THEY GO TO DEALER ONLY AUCTIONS, ALL VEHICLES ARE SOLD AS IS WHERE IS AND ARE MECHANICS SPECIALS CASH OR CHECK ONLY NO DEALERS PLEASE**, VEHICLES MAY NOT BE AVAILABLE FOR IMMEDIATE DELIVERY ** Fast, Friendly, Fair & Fun. 22/31 City/Highway MPG Final vehicle sale price is also subject to safety inspection costs, certification costs and repair order costs. Call your Internet Managers today for details. All offers are mutually exclusive. All vehicles subject to prior sale. See dealer for complete details. Clean CARFAX. Black 2007 Toyota Camry FWD 5-Speed Automatic with Overdrive 2.4L I4 SMPI DOHC Fast, Friendly, Fair & Fun. Recent Arrival! 24/33 City/Highway MPG Final vehicle sale price is also subject to safety inspection costs, certification costs and repair order costs. Call your Internet Managers today for details. All offers are mutually exclusive. All vehicles subject to prior sale. See dealer for complete details. CARFAX One-Owner. Lunar Mist Metallic 2006 Toyota Camry LE FWD 5-Speed Automatic with Overdrive 2.4L I4 SMPI DOHC Camry LE, Lunar Mist Metallic, Stone w/Cloth Seat Trim, ONE YEAR FREE MAINTENANCE, CARFAX ONE OWNER. ***PRE- SALE AUCTIONS VEHICLES THESE VEHICLES HAVE RECENTLY BEEN TRADED IN AND ARE OFFERED TO THE PUBLIC BEFORE THEY GO TO DEALER ONLY AUCTIONS, ALL VEHICLES ARE SOLD AS IS WHERE IS AND ARE MECHANICS SPECIALS CASH OR CHECK ONLY NO DEALERS PLEASE**, VEHICLES MAY NOT BE AVAILABLE FOR IMMEDIATE DELIVERY ** Fast, Friendly, Fair & Fun. 24/34 City/Highway MPG Final vehicle sale price is also subject to safety inspection costs, certification costs and repair order costs. Call your Internet Managers today for details. All offers are mutually exclusive. All vehicles subject to prior sale. See dealer for complete details. Clean CARFAX. Bluesteel Metallic 2006 Toyota Sequoia Limited RWD 5-Speed Automatic with Overdrive 4.7L V8 SMPI DOHC Sequoia Limited, 4.7L V8 SMPI DOHC, 5-Speed Automatic with Overdrive, Bluesteel Metallic, Light Charcoal w/Leather Seat Trim or Luxury Leather Seat Trim, ONE YEAR FREE MAINTENANCE, CLEAN CARFAX, LEATHER, SUNROOF, Luxury Leather Seat Trim, Luxury Package, Memory Driver's Seat & Exterior Mirrors, Power Adjustable 2nd Row Bucket Seats, Power Heated Retractable Outside Rear-View Mirrors, Rear Height Control Air Suspension, Redwood Luxury Package. ***PRE- SALE AUCTIONS VEHICLES THESE VEHICLES HAVE RECENTLY BEEN TRADED IN AND ARE OFFERED TO THE PUBLIC BEFORE THEY GO TO DEALER ONLY AUCTIONS, ALL VEHICLES ARE SOLD AS IS WHERE IS AND ARE MECHANICS SPECIALS CASH OR CHECK ONLY NO DEALERS PLEASE**, VEHICLES MAY NOT BE AVAILABLE FOR IMMEDIATE DELIVERY ** Fast, Friendly, Fair & Fun. Recent Arrival! Final vehicle sale price is also subject to safety inspection costs, certification costs and repair order costs. Call your Internet Managers today for details. All offers are mutually exclusive. All vehicles subject to prior sale. See dealer for complete details. Super White 2013 Toyota Corolla L FWD 4-Speed Automatic 1.8L I4 DOHC Dual VVT-i Corolla L, 4-Speed Automatic, Super White, Ash w/Fabric Seat Trim, ONE YEAR FREE MAINTENANCE, BOUGHT HERE WHEN NEW, SERVICED HERE. ***PRE- SALE AUCTIONS VEHICLES THESE VEHICLES HAVE RECENTLY BEEN TRADED IN AND ARE OFFERED TO THE PUBLIC BEFORE THEY GO TO DEALER ONLY AUCTIONS, ALL VEHICLES ARE SOLD AS IS WHERE IS AND ARE MECHANICS SPECIALS CASH OR CHECK ONLY NO DEALERS PLEASE**, VEHICLES MAY NOT BE AVAILABLE FOR IMMEDIATE DELIVERY ** Fast, Friendly, Fair & Fun. Recent Arrival! 26/34 City/Highway MPG Awards: * 2013 KBB.com Brand Image Awards * 2013 KBB.com Best Resale Value Awards Final vehicle sale price is also subject to safety inspection costs, certification costs and repair order costs. Call your Internet Managers today for details. All offers are mutually exclusive. All vehicles subject to prior sale. See dealer for complete details. 2012 Toyota Corolla LE FWD 4-Speed Automatic 1.8L I4 DOHC Dual VVT-i Fast, Friendly, Fair & Fun. Recent Arrival! 26/34 City/Highway MPG Awards: * 2012 KBB.com Best Resale Value Awards Final vehicle sale price is also subject to safety inspection costs, certification costs and repair order costs. Call your Internet Managers today for details. All offers are mutually exclusive. All vehicles subject to prior sale. See dealer for complete details. CARFAX One-Owner. Clean CARFAX. Sandy Beach Metallic 2010 Toyota Prius II FWD CVT 1.8L 4-Cylinder DOHC 16V VVT-i Prius II, 1.8L 4-Cylinder DOHC 16V VVT-i, Sandy Beach Metallic, Bisque w/Fabric Seat Trim, ONE YEAR FREE MAINTENANCE, CARFAX ONE OWNER, CLEAN CARFAX, BOUGHT HERE WHEN NEW, SERVICED HERE. Fast, Friendly, Fair & Fun. Recent Arrival! Odometer is 73451 miles below market average! 51/48 City/Highway MPG Awards: * 2010 KBB.com Best Resale Value Awards * 2010 KBB.com Top 10 Green Cars Final vehicle sale price is also subject to safety inspection costs, certification costs and repair order costs. Call your Internet Managers today for details. All offers are mutually exclusive. All vehicles subject to prior sale. See dealer for complete details.